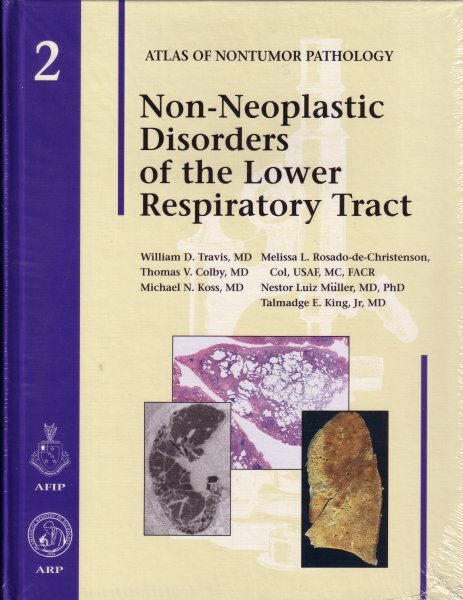 Dieser Artikel ist Teil des Reihenwerks "AFIP Atlas of Nontumor Pathology"
This second fascicle of the Atlas on Nontumor Pathology addresses one of the most difficult areas. In surgical pathology. Recongnizing the need for a multidisciplinary approach to the successful diagnosis of many of these diseases, a pulmonologist and two radiologists have been includes as authors to supplement the pathology contributions. With their clinical and radiological expertise. Drs.King Rosado-de-Christenson, and Müller have greatly enhanced the pathology descriptions. A 939 page volume has resulted with a total of 1.185 color and 284 black and white images, including pathology as well as radiology illustrations. When appropriate, the importance of clinical, radiological, and pathologic correlation is emphasized. The radiology images include characteristic manifestations or chest radiography and high-resolution computed tomography. This reference will be helpful to clinicians, radiologist, and pathologists seeking a better understanding of this difficult subject.